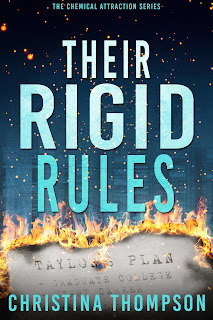 Their Rigid Rules is the first book in the captivating and fast-paced Chemical Attraction Series. 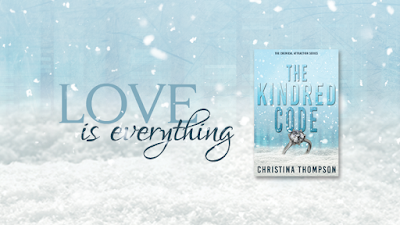 This romantic suspense novel will have you gripping the edge of your seat. Taylor Valentine, a senior at Western Michigan University, has had her life planned out since kindergarten. After her parents died while she was still in high school, she had perfected it to make them proud. Now with the help of her best friends, Joe and Eva, she focuses on graduation and a career with romance in the far distant future. However, when the visiting professor enters the lecture hall to a four-weekend Civil War seminar, her perfect plan hits a snag. As a handsome history professor and former marine, Dr. Stuart Morgan has his own set of strict rules especially with infatuated students. He enjoys his boring yet pleasant life until he starts receiving death threats. With his unwanted bodyguard in tow, Stuart is unnerved by his reaction to Taylor. 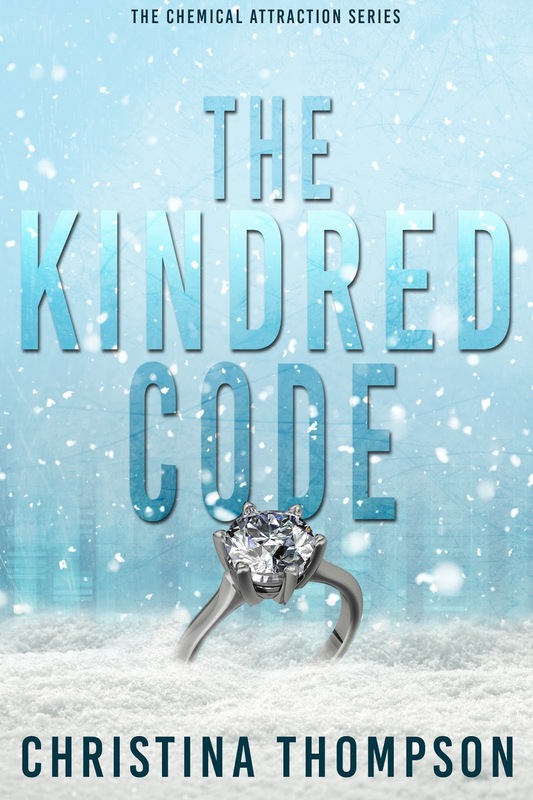 Their rigid rules discourage all but a flirtation. 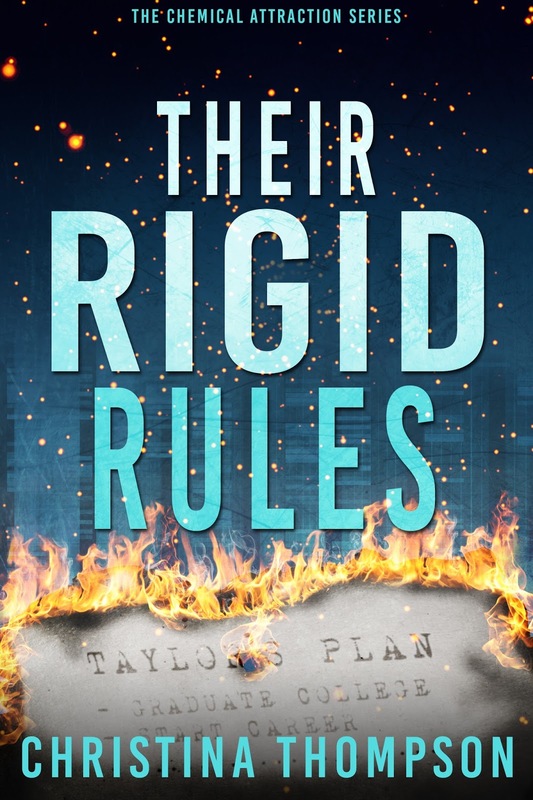 As the death threats become evident, the FBI believes Taylor’s the culprit, hindering their budding romance. When Taylor inadvertently becomes the target, Joe and Stuart whisk her away to protect her. Meanwhile, Joe struggles with his feelings for Taylor. He’s loved her since grade school. He won’t let her go and stands in Stuart’s way. 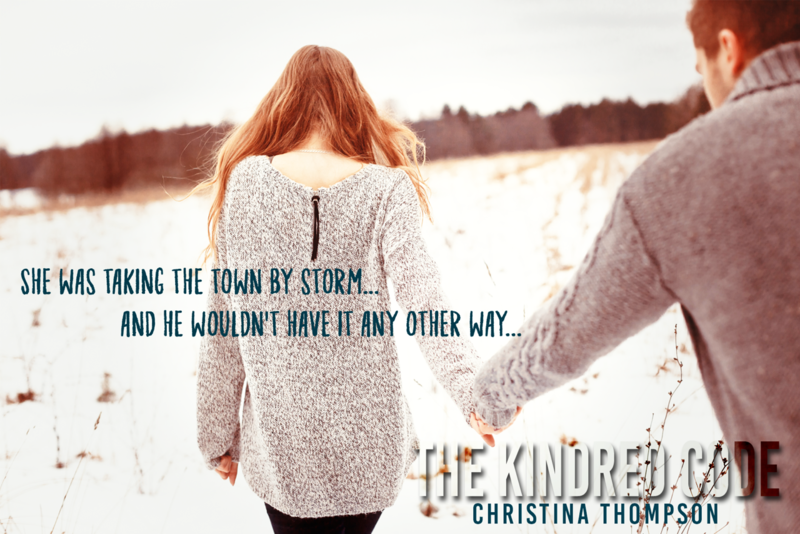 The men push her to choose between the lifelong love of her best friend and the true love of her new boyfriend. With the threats from family and foe pulling them apart, Stuart wonders if they can sustain the stress. Trusting their love, he must somehow convince Taylor to break her rules and embrace a new plan. Taylor Valentine, Eva O’Sullivan, and Joe Roberts are siblings by choice. They believe in The Kindred Code: blood means nothing and love is everything. After all, they’ve been together every day since the third grade. As their lives take different paths after college, they wonder if their mantra will stay true. When word gets out that Professor Stuart Morgan had dated Taylor while in his class, the publicity takes a toll on their relationship. While Taylor recovers from a gunshot wound, Stuart struggles with his PTSD. Instead of sharing their pain, they drift further apart. With his son, David, at a sleepover, Officer Matt Connor invites Eva to his home. 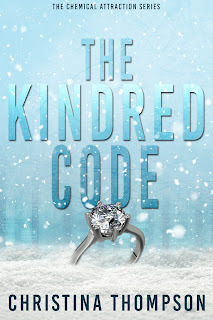 During their romantic weekend, volatile confrontations erupt between Matt’s mother and Eva and David’s biological mother and Eva. The rural town enjoys the uproar. Even on her best behavior, Eva worries about the chaos she brings to Matt and David’s lives. Before Joe heads to the FBI Academy, Director Peter Bingaman asks for his help on an unofficial case. He needs an outsider, who’s smart and quick on his feet. Joe jumps at the chance to test his skills. Before long, they uncover horrendous crimes. Suddenly, Joe’s in over his head. Will Joe’s family put aside their problems and come to his aid before it’s too late? And what will that mean for his career as an agent? 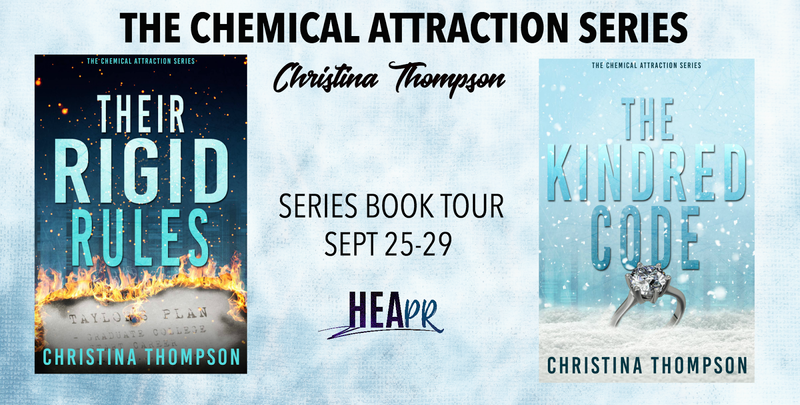 This page turner is the second novel in The Chemical Attraction Series and is packed with fast-paced action, suspense, and romance that will leave you craving for more. As a former holistic practitioner with a science background, Christina Thompson enjoys writing about the physical science, the emotional workings of our mind and heart, and the spiritual energy that taps into our passions. Her degree in biology from Nazareth College in Kalamazoo gave her a love of science and a background into the physical realm of the body. Her diploma in Traditional Chinese acupuncture from Midwest College of Oriental Medicine taught her that the mind and spirit affect the body in powerful ways. She currently resides with her husband, Kraig, in Michigan. Enter to WIN a $20 Amazon GC!